"You need to come home." It's a phrase I remember all too well. I was in Japan a few weeks ago (helping with disaster relief work) when this was said to me. It was a phrase so unexpected - just as unexpected as the situation taking place at home. Within 24 hours of landing in Japan I received a text from my mom telling me to call her as soon as possible. Knowing that phone calls and texts to and from Japan aren't the cheapest from the USA (even with a special plan), I knew something was wrong. Honestly, considering my dad's health this year, I figured it had to do with him. I assumed he was back in the hospital for a third time. Once I got a hold of my mom back home in California I found out my theory was all wrong. Dad was okay. She was okay. This time around my sister and my niece were the ones who were in the hospital. At this point my sister, Amanda, was about 22 weeks pregnant with my niece. Just a couple of weeks earlier we found out who my niece was. She was Ashley Elizabeth. Ashley would be my sister and brother-in-law's first daughter. Their first child. She would be my first niece, my parent’s first grandchild, and my grandparent’s first great-grandchild. 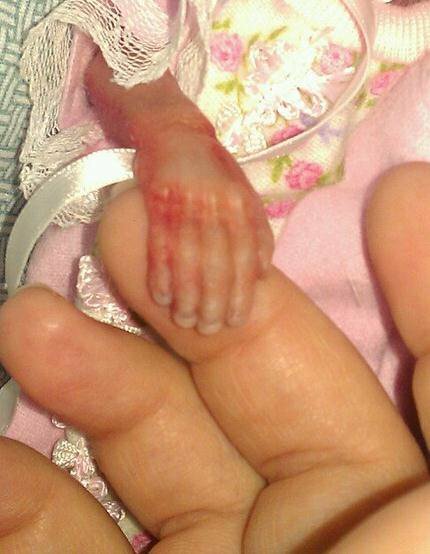 Now at 22 weeks within the womb, my sister found them sitting in the hospital being told the odds weren't good. The amniotic fluid was leaking. One more week is all they needed to increase the odds to better ones. Bed rest was a necessity and we would all know more in a few days. In my mind I honestly thought, "Everything is going to be okay. God is in control. He'll take care of them. I'll make it home in about a week. Things will be okay and if she has to come early - I'll be home for Ashley's grand entrance into the world." 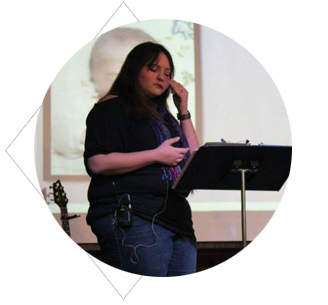 Stories and stories of God's care and miracles kept coming to my mind, encouraging me. I was worried, but praying about it I put it all in God's hands. Being in Japan I couldn't do anything about the situation other then pray and have my team members pray. Even if I had been home I still couldn't really of done anything more then what I was already doing. One day after several hours of bagging up rubble from where a house once stood we got back to the gym that was our temporary home. I hadn't looked at my phone all day. When I did I saw a missed call from my aunt and text messages saying to call her "ASAP". This is when I knew there must have been a drastic turn in events back home. Calling her back she informed me that my sister had suddenly gotten an infection. An infection that sent her fever well above 100 degrees. The doctors made the call to induce labor. My niece’s arrival would more then likely occur within the next 24 hours. The odds weren't good at all. She had less then 1% chance to live. They still had her heart beat, but we wouldn't know anything until she was born. In that moment as I sat in the gym on my sleeping mat, phone pressed against my ear, tears started to roll down my cheek. Other then the basics of the situation, all I remember my aunt heart-brokenly saying, "I am so sorry Crystal...I am so sorry." All I could really ask in reply was, "When will they know if she’ll make it? When will they know?" More then likely, we wouldn’t know for a few hours or until she was even born. A few hours later the team was headed to the onsen on the bus, I got the call. My sister was still in labor but Ashley didn't make it. My sister would be giving birth to her beautiful daughter as a stillborn. This was all so unexpected. The pain of losing my niece has caught me off guard. I had no idea it could hurt so much to lose a child that I never got to know. My heart was breaking, knowing I would never even get to hold her. Everything that could happen seemed to be happening to our family in the recent months. I was thousands of miles away as my family was being hit by one of the strongest storms we've had to go through together. Confusion hit me as I thought, "I thought God wanted me to come to Japan, but why would he want me here when my family needs me there? Why is all this happening - especially now?" During the days in Japan I truly felt mostly okay. The work kept us busy. The laughter and silly moments kept me laughing. Our team kept me encouraged and prayed for my family often. Nights were the worst for me. That’s when life slowed down. It’s when I was alone in my own little world and thought process. It’s when there was silence…Silence where my mind could wander back home, back to where I knew the pain and shock of the situation was devastating my family. After working in Japan I ended up going home about two days early. I was leaving on a Monday and the visitation for Ashley was Tuesday. The service would be Wednesday. During the first 30 minutes or so of being in the room I couldn’t get myself to go past the back row of the chapel. As my family walked to the front crying and hugging one another, I sat in the first chair I saw - frozen. As a couple of family members tried to get me to go closer, I couldn’t move. I had no words to say. Eventually even my tears froze as I sat there taking it all in, not knowing what to think, do, say, or how to react. As I watched my family from afar it felt unreal as a loving father took his precious 14-ounce daughter wrapped in pink out of the coffin they were to bury her in the next day. It felt unreal as her mother, my sister, gave her one last kiss on her little forehead and as great-grandparents held her for the first and last time (as they, like me, were out of town when all this took place). Up until this point I didn’t know if I would hold her or not. In fact, I still hadn’t even gone up to look at her yet. This wasn’t due to a lack of desire – believe me. The desire was all there. The strength is what I feared I lacked. When I realized it they were getting ready to put her back into the coffin for the last time, I jumped up realizing this was my last chance. This was my last chance to see her…to hold her…This was my last chance to create my first and last memory with her as she was out of the womb. As they handed her to me she felt so light. Tears started to pour out of my eyes and down my face. I remember family surrounding us. I remember my mom saying, “Look at her little hand…” as she uncovered it from the blanket she was wrapped in so snuggly. She had five little fingers and a cute little nose. She was beautiful. The next day we drove to the cemetery. As we got out of are cars, we saw other family members and friends standing under a tarp all dressed in black. We were guided to our seats where the service would take place. We heard a preacher speak and two beautiful songs, including, “Jesus Loves Me”. Before I knew it the service was over and it was time to lower Ashley into the ground. As my tears once more flowed down my cheek, my cousin Brett held me while shedding his own tears. The last month has been an emotional roller coaster for all of us. We’ve all experienced some kind of anger, happiness, bitterness, sadness, and times of laughter. Many thoughts have run through all of our heads about all the situations surrounding our family. A month after all this has occurred I still feel the urge to run to Babies ‘R Us or Carter’s to buy a cute little pink frilly baby dress for my niece. Instead, I remember we all had to purchase black funeral ones for ourselves in mourning and sadness. Everyday is different in our house. Some days are easier, some are harder. We all always think about Ashley. There’s not a day that goes by where I don’t think about her. I think about the memories that should have been made. I think about the ones that one-day will be made when we meet face to face and can hold a conversation. I think of her in her new body soaring on the wings of angels and being held by our Heavenly Father. I’ve been battling the question, “Am I still considered an aunt? ?” It’s taken a while for me to figure out if I still am considered one until recently. When people ask me if I am an aunt, or if I have any nieces or nephews, my answer will always be “Yes!” without question. Ashley is as much part of our family and lives as anyone else with our shared DNA. My love for her started from the moment we knew she was in existence – before we ever even knew she was an “Ashley”. While she may not be with us physically anymore, she is always in our thoughts and hearts as our love for her always lives inside us. Hey Ashley - I love you. And I am NOT afraid to say it! This gave me chills... And now I'm crying.